Being a small business is tough – while they may be the backbone of the economy, it’s hard to afford what big businesses take for granted especially with skills development budgets. Being a small business ourselves, we understand the challenge! So when a local veterinary practice approached us for some help in training their front office staff, TLC’s Sarah Giles saw the opportunity to make a difference with our Customer Experience programme. Sarah customised a short, focused, cost-effective solution that gives small business people the same experience that happens in world-class training at large companies. 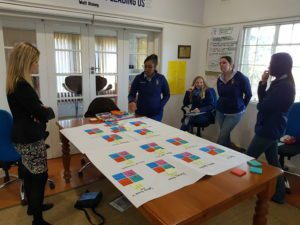 Assisted by TLC’s Business Improvement Manager Grant Davis, they covered the key topics over 4 interactive and practical training sessions. “Customer experience fits right in with the Purpose revolution and is a major evolution in the business improvement space. Identifying your internal and external customers, highlighting their needs and looking at your business processes from your customer’s perspective, enables businesses to design the ultimate customer experience to gain a competitive advantage.” says Grant. 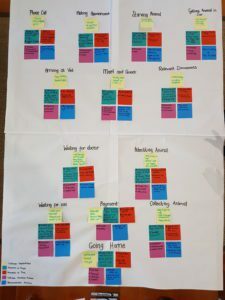 A highlight of the programme is creating a customer journey map. This map takes a look at the interaction points a customer experiences with your business and the emotions they are feeling at each step of the journey. This can be a challenging task as so often we think about the process steps from the business perspective and not how your customer feels when there are long and over-complicated processes and rigid systems. The programme includes a final presentation where the front-line staff were able to report back to the Veterinary practice owners on their journey map and share key opportunities to enhance the customer experience with an action plan for improvements. We provide a range of customer experience packages depending on business requirements for senior leadership teams, managers and customer facing employees. 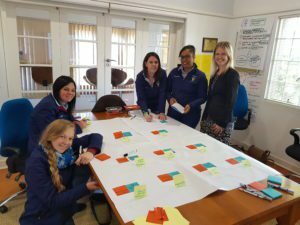 We partner with CEM experts, Delight Consulting to provide innovative customer experience training programmes including a popular Internship to maximise your skills development points for your B-BBEE scorecard. Get in touch with us to find out more about our offering and how we can personalise a package for you.